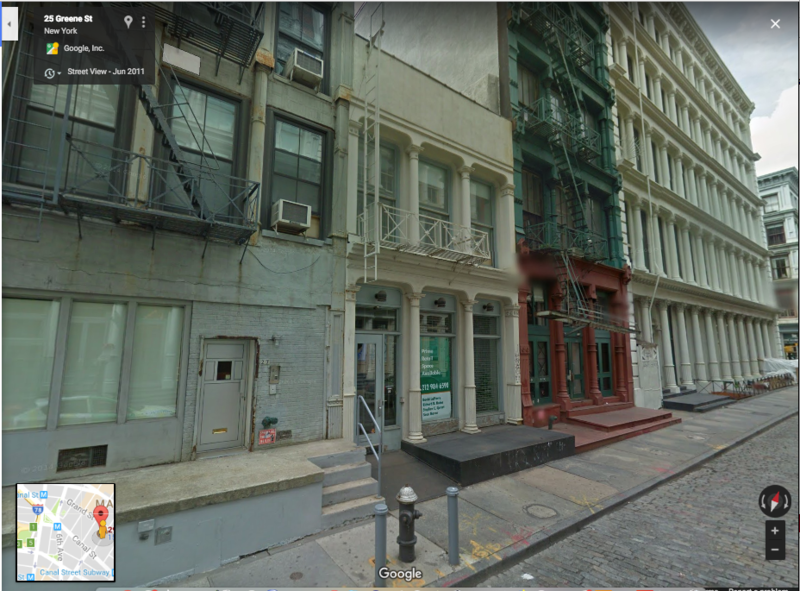 Blue Rock Studio (1969 to 1975) Soho, New York - 2 floors and a basement - Where Dylan recorded When I Paint My Masterpiece and Watching the River Flow in 1971. 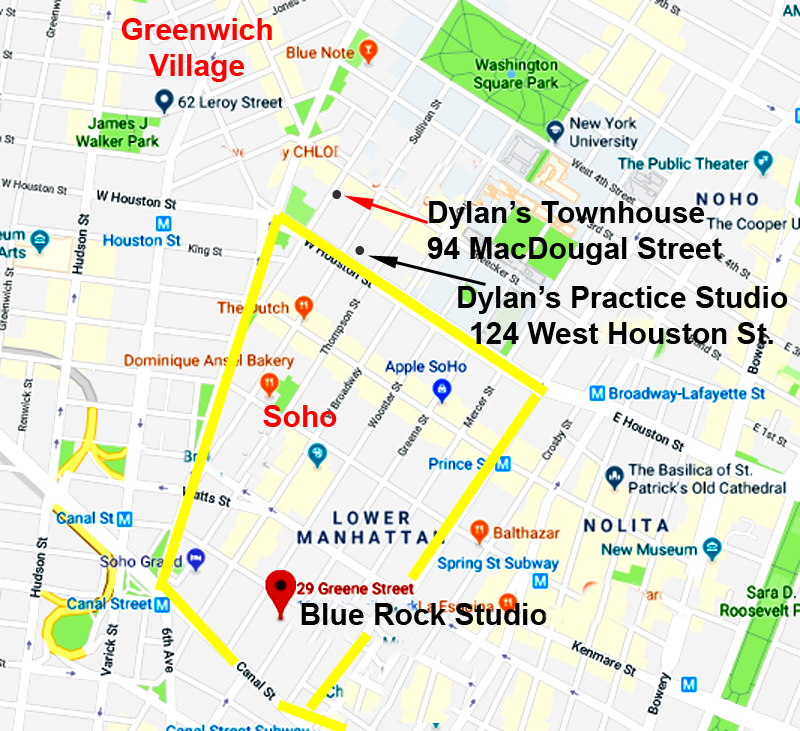 This page lists research I have compiled for Dylan fans and scholars about Blue Rock Studio, a recording studio in the Soho neighborhood of New York City in the 1970's where Dylan recorded When I Paint My Masterpiece and Watching the River Flow. 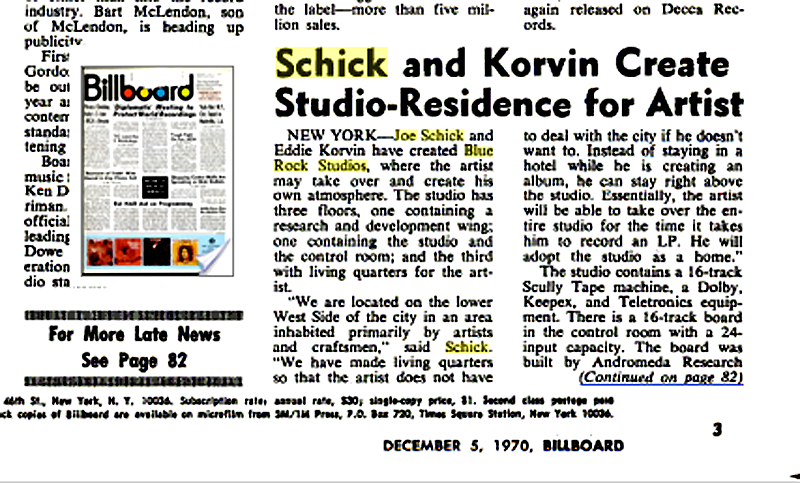 It begins with an update to the original entry by way of an email sent to PopSpots by Joe Schick co-founder/owner of the former Blue Rock Studio that provides additional details of those sessions. 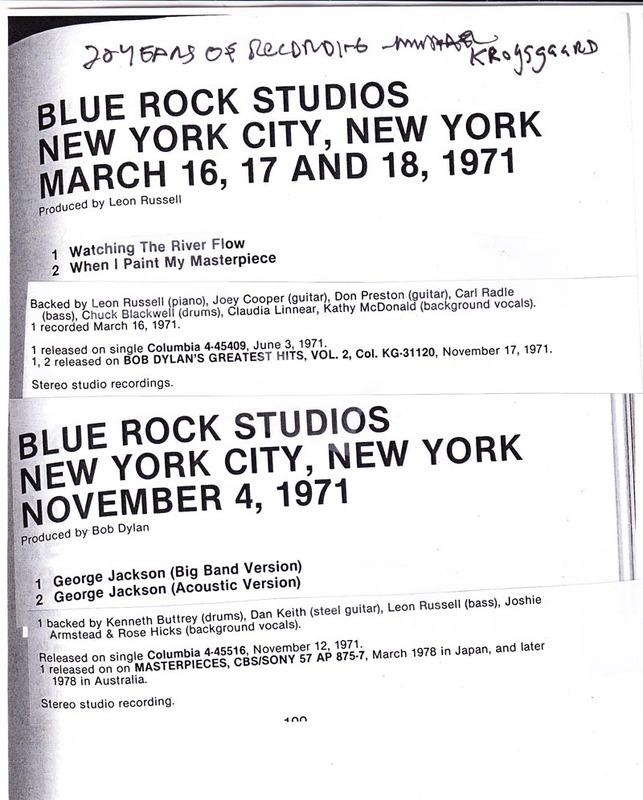 Thank you very much, Joe, for adding to the historical record - and the the great music produced at Blue Rock. 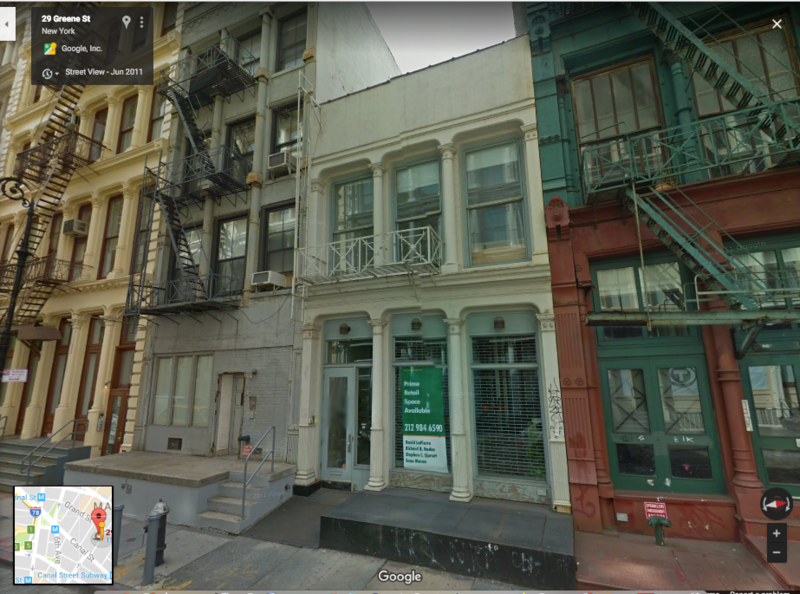 I was the (co) founder/owner of Blue Rock Studio at 29 Greene Street, in New York City, which opened in 1969. 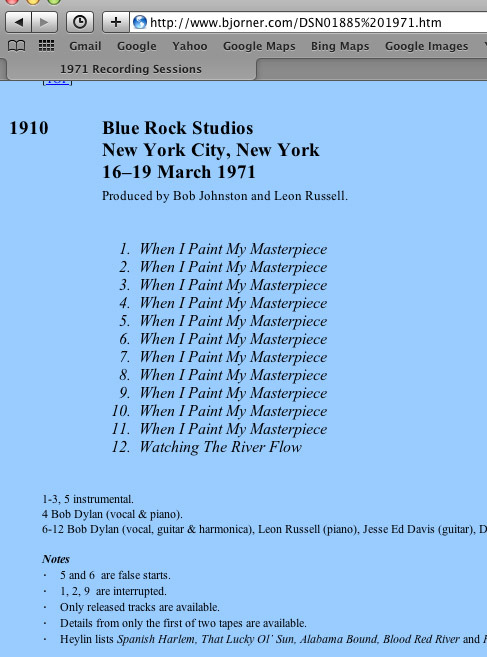 Since I think you value accuracy on your site, I thought I would share with you a few corrections regarding your notes on the Bob Dylan Blue Rock sessions in 1971. 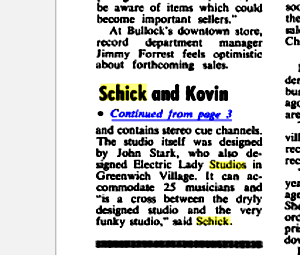 Joey Cooper, Don Preston, Chuck Blackwell, Claudia Linnear, and Kathy Macdonald weren't part of these sessions. Leon Produced; Bob Johnston wasn't there. 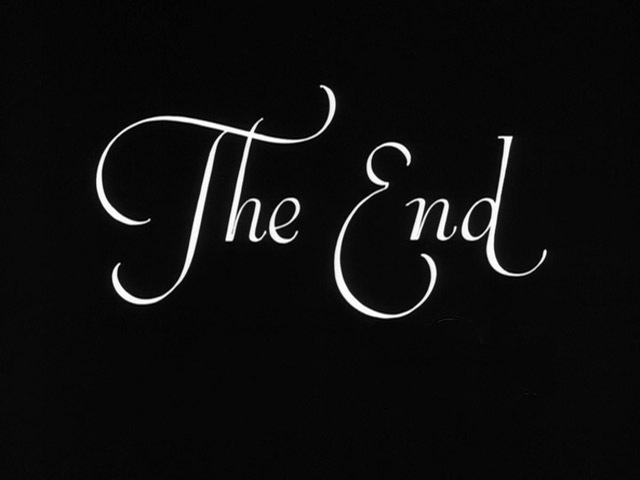 I engineered along with my chief engineer Jan Rathbun and my partner Ed Korvin. 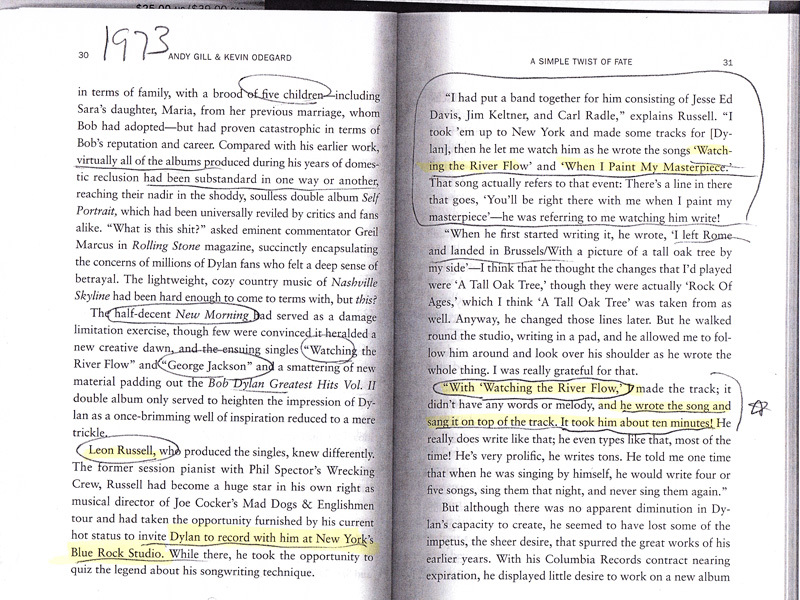 I remixed Watching the River Flow alone with Dylan on the last day; it is our version that appears on BD's Greatest Hits, Vol.2. Thought you'd want to know . . . 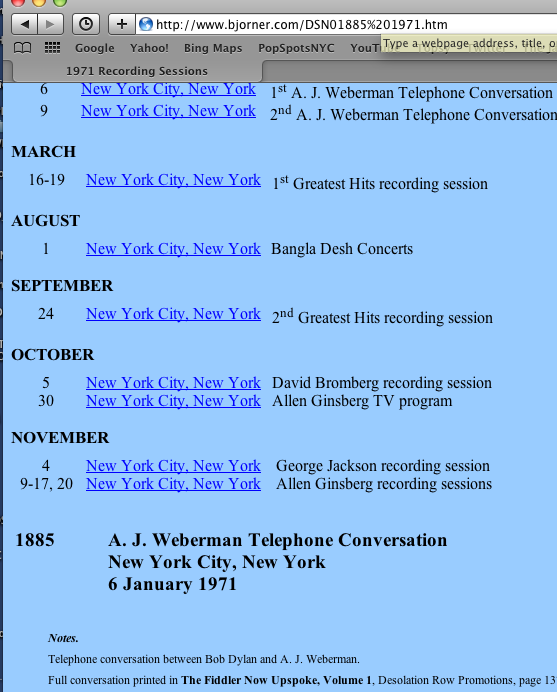 List of recording sessions. 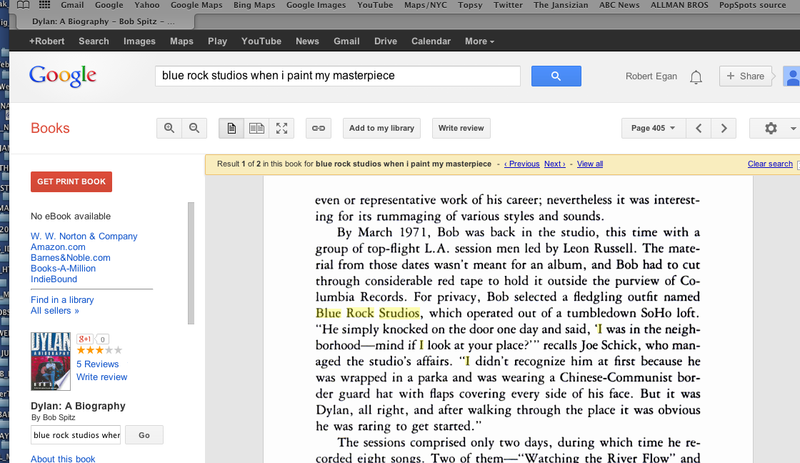 This list is from the book 20 YEARS OF RECORDING: THE BOB DYLAN REFERENCE BOOK by Michael Krogsgaard, published in 1981. 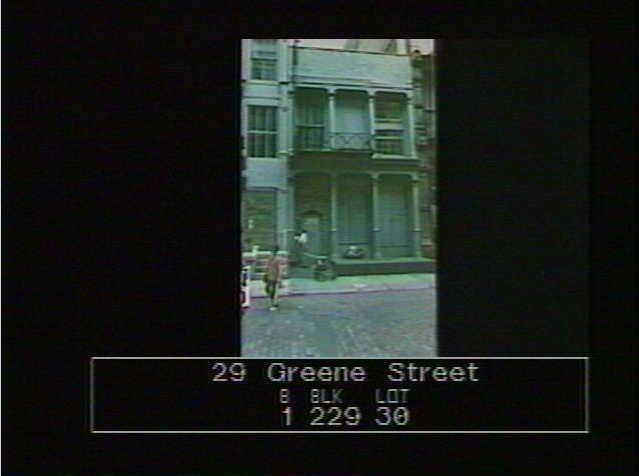 Joe Schick, who ran Blue Rock Studio and whose 2018 e-mail is above, indicates that George Jackson was recorded elsewhere. 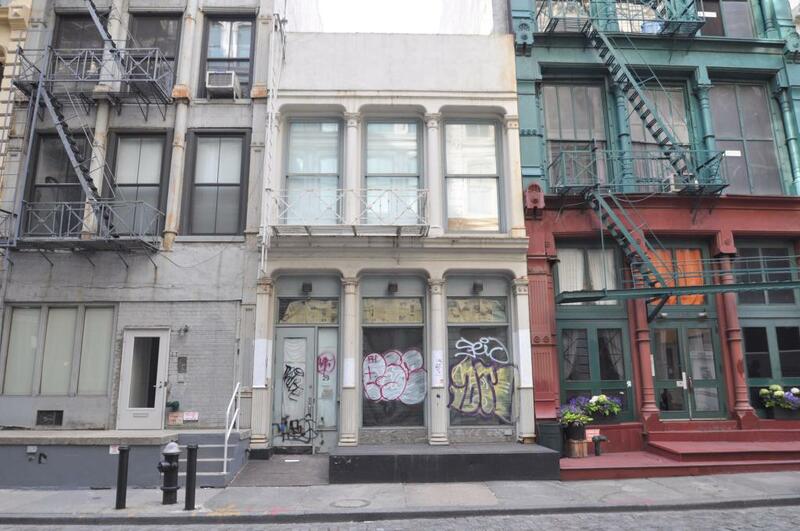 29 Greene Street, west side, between Canal and Grand - former site of Blue Rock Studio in 2014.
photo by Chris Bride, Property Shark, 2014 via Flaming Pablum. 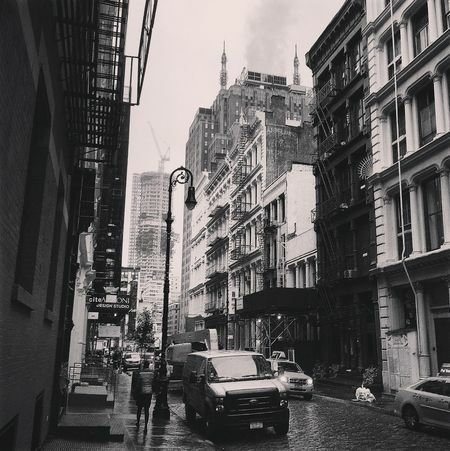 To enlarge photo, drag to desktop. 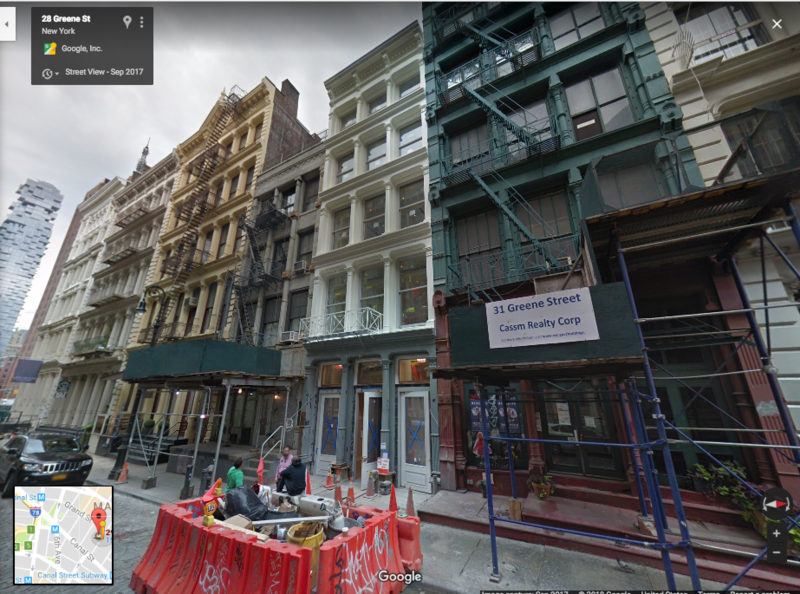 This was the building in 2011 via Google Street View. 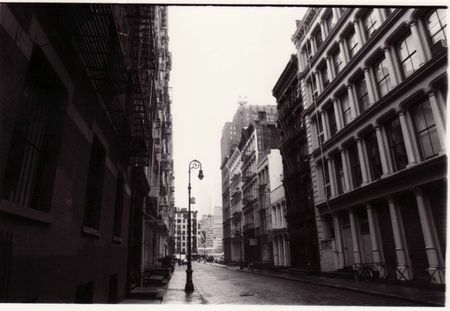 This is another picture of the building circa 1984 via the NYC music blog Flaming Pablum by Alex Smith.